It is that time of the year when music publications put out their "BEST OF" lists and we here at American Pancake want to offer our list as well. By "best" we really mean that these choices are our favorites. 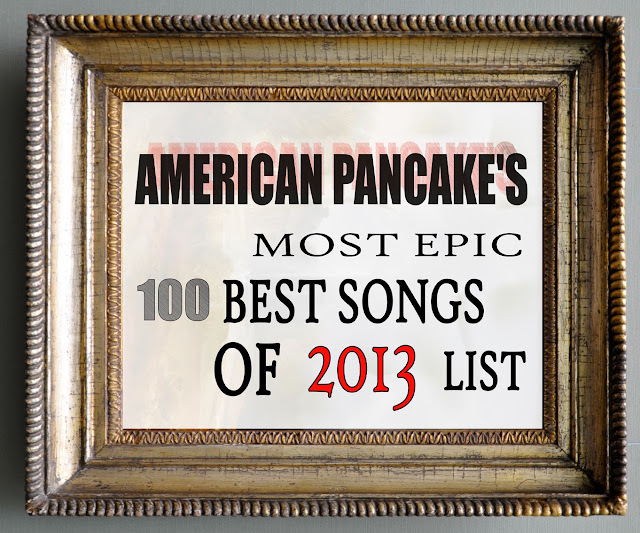 We compiled our list to include only one song from any one artist. Many of these talented artists released albums with numerous songs that were our favorites but by sticking to the one song rule we felt we could include more artists. I can tell you that without a doubt you will see a number of songs on our list that will NOT be represented in any other "Best OF" lists out there and we are very proud of this fact. What our list and other "Best Of" lists hopefully do is introduce you to artists whom you are not familiar with. I hope you take the time to check these new discoveries out. Each song will have a link either to the song itself or an article about the artist. Enjoy.